We're not sure what happened to this person last night, but we're sure it was awesome. Photo courtesy of REVIV Wellness. Every noteworthy hotel in Las Vegas has an extravagant spa. And they’ll all rub you the right (legal) way. But REVIV at MGM Grand is the one you need when 2014 is holding on in the form of a headache and dehydration. The UlTRAVIV treatment is specifically designed to refresh you after “overindulgence of nightlife.” Translation: You got trashed and now you feel like that confetti on the ground covered in what you hope was clam chowder so here’s a spa treatment for you. They’re not cheap – though not overly expensive compared to any other Las Vegas spa treatment – but they should at the very least help you feel a little better so you can go out and make the same mistakes tonight. The nicest bus you'll ever get stabbed in. Photo courtesy of Hangover Heaven. We understand that you might not be staying at the MGM Grand, and you may not have the capability to stand long enough to make it down there. That’s why Vegas brings the therapy to you with Hangover Heaven. Think of it like an old-fashioned house call from a kindly doctor who shoves a needle in your arm because you couldn’t stop at three shots of vodka. Hobble down to the Hangover Heaven bus or have them hurry up to your hotel room and get your much needed “nausea medicine” and “headache medicine” as well as antioxidants, vitamins and “liters of hydration.” The price climbs depending on how much you need and how far you’re not willing to go to make them come to you, but it’s probably worth it if you have something important to do the morning after you should have been resting but decided to fully embrace Vegas instead. Doesn't that look like it would hit the sour, gin-soaked spot? 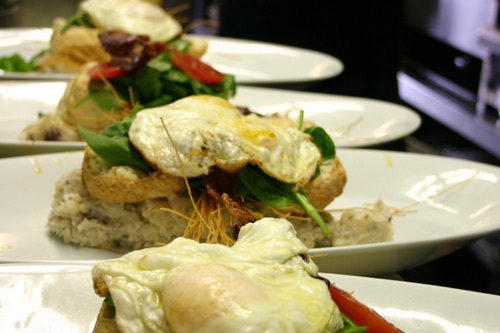 Photo courtesy of Hash House a Go Go. Ahh breakfast food. When you’re aching, slightly nauseated and desperate for something in your stomach, few things hit the spot like a greasy plate of eggs, carbs and cheese. And few places do breakfast better than the Hash Houses a Go Go. With three to choose from – downtown at the Plaza, on the Strip at the LINQ and just off the Strip at the Rio – you’re probably pretty close to one right now. The extensive menu is sure to have something that will coat your innards with deliciousness and make you forget all about the taste of those margaritas you filled up on last night. Try getting something that comes with a biscuit. That’s a joke because most things come with biscuits. And they’re scrumptiously great at soaking up whatever it is you drank. Just like homemade, minus the dysfunction and judgmental criticism. Photo courtesy of Hussong's Cantina. Most people have that classic soup their abuela (that’s the Spanish word for grandmother) made. And the soup seemed really delicious when you were a child. But let’s face it, you can’t call her up and be like, “I’m seriously hung over. Can you come make me soup?” That’s where Hussong’s Cantina comes in. 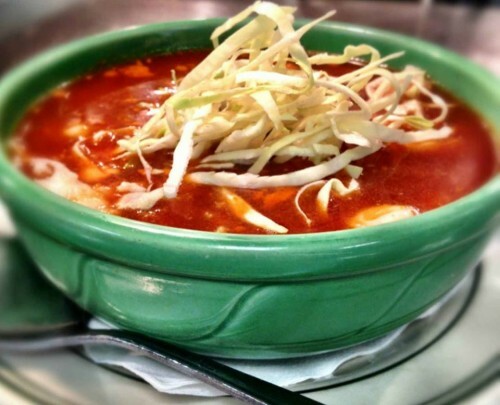 Their Hangover Special comes with a bowl of incredible Mexican pozole full of all the guajillo brothy, tomato-y and hominy-y goodness you need to get over your hangover woes. And the bloody Mary doesn’t hurt either. Do not look at those drapes for too long if you still have the spins. You're welcome. Photo courtesy of Society Cafe. Speaking of bloody Marys, when you just need some hair of the dog that’s clawed its way into the refrigerator and somehow made a delicious drink, Society Café at Encore has the bloody Mary cart to quell your worst hangover. Whether you like bacon, basil or the bayou, whether your Mary is bloody, dirty or verde, you’ll find exactly what you’re looking for here – assuming what you’re looking for is an exceptional bloody Mary and all around great food. We're fairly confident that's not the real Bradley Cooper. If it is he's kind of being a jerk by not looking at the camera. Seriously. Are you too good for someone's selfie, Bradley Cooper? Get over yourself. 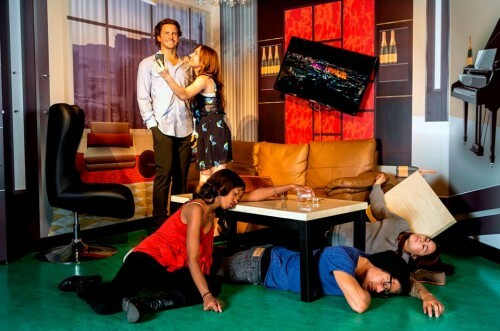 Photo courtesy of Madame Tussauds. If you’re one of those youngsters who can still drink the night away and not be half dead the next day, or if you’ve already partaken in our hangover day suggestions, and you’re looking for something to do in the afternoon, Madame Tussauds will be unveiling the new statue of Zach Galifianakis (we were so close to spelling that right on the first try) as Alan from “The Hangover.” Get your picture taken with Alan and Phil (the Bradley Cooper statue) while “pretending” to be hung over. 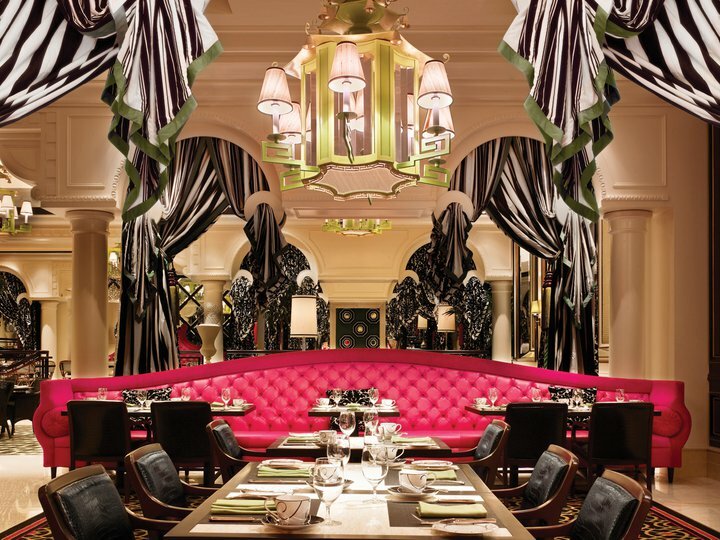 It’s the next best thing to trashing a hotel at Caesars – which you should never, ever do.